From the world-class Green Music Center to the beautiful Lakes, SSU is a shining example of what makes Sonoma County one of the world’s most desirable locations. The stunning beauty of the 269-acre campus is just part of what makes Sonoma State a unique liberal arts university. The residential campus houses one-third of its students, with plenty of on-campus activities and off-campus excursions throughout the Bay Area. SSU’s unique programs and small class sizes ensure you’ll get the individual attention you need to succeed. We invite you to come see for yourself what makes Sonoma State one of the California State University’s most popular campuses. Life on campus is active and busy. Our students excel academically while enjoying leisurely activities with friends. Hangout spots, like Seawolf Plaza, the StudentCenter, Charlie Brown's Cafe or Lobo's Pizza and Pub, buzz with activity. 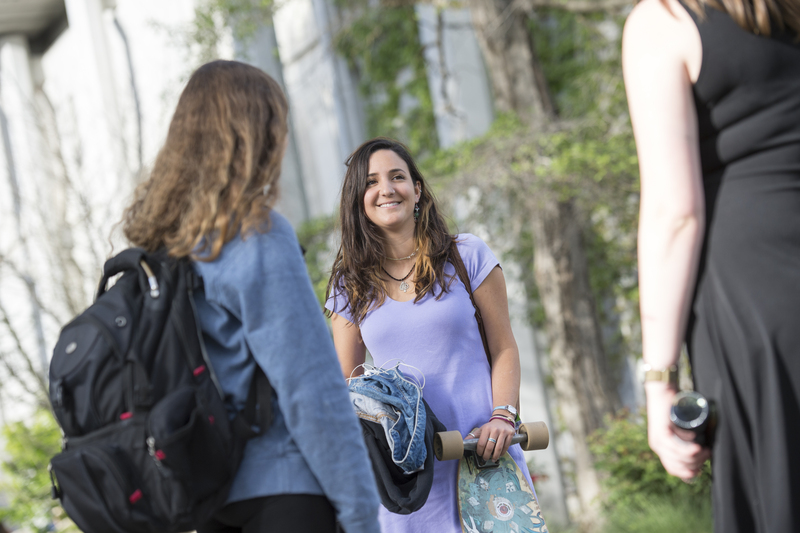 Cultivate connections with fellow students by attending cultural events and student performances, cheering on the Seawolves at athletic events, or joining a Greek organization. Do more here, at Sonoma State. Pursue academic, creative and cultural interests through our student organizations, or develop your inner leader in student government. Work out at the recreation center, swim laps at the pool or venture on one of the many hikes through our Outdoor Pursuits program. Have the experience of a lifetime studying or completing a class in more than 15 countries. Every year we field 14 competitive NCAA Division II men's and women's sports teams, most of which compete in the California Collegiate Athletic Association (CCAA). In addition, we have a variety of intramural leagues that play on a competitive and recreational level. In 2015-16, a school record 93 student-athletes earned All-Academic honors from their respective conferences and for the second consecutive year, student-athletes set a new department GPA record. Living on campus is one of the best decisions you can make. Sonoma State provides suite-style housing, nestled in beautiful grassy areas close to indoor and outdoor community areas. From day one you'll be in the middle of the action with quick and easy access to classes, dining, recreation and events from any of our six housing communities. Freshman Learning Communities are villages designed to assist you with the transition to college, enhance your residential experience and promote a community atmosphere. Students must apply and be accepted to a specific learning community, as space is limited. Each housing option includes fully furnished bedrooms, living rooms, and modern kitchens. Unique benefits, such as 24-hour laundry access, unlimited meal plans, swimming pools and spas are also available.